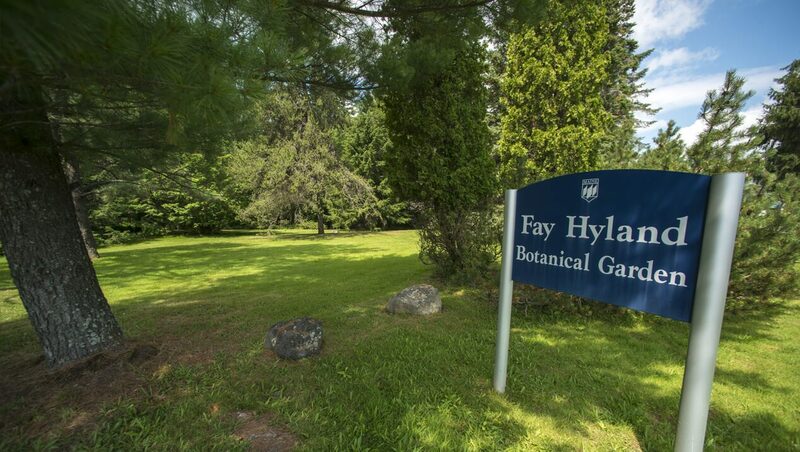 Originally known as the Fay Hyland Arboretum, the 10-acre botanical garden features both indigenous and non-native species from throughout the world. Considered the oldest organized extant garden at UMaine, the site has played a vital role in research and teaching since 1934. Among the educational efforts supported is coursework in dendrology, horticulture and plant taxonomy. Walking along the Stillwater River in this garden will give you great views up and downstream, as well as the opportunity to wander among tall trees and interesting shrubs, a number of which are labeled. The garden was developed by the late professor Fay Hyland, whose UMaine career focused on woody plants.